The Destiny 2 Curse of Osiris expansion offers plenty more for you to undertake, including the new Mercury hub area, all the new Exotic weapons and armor, as well as all the new story quests for you to complete. In the brand new Destiny 2 Curse of Osiris expansion, there are plenty of side activities to undertake, separate from the main campaign of pursuing Osiris and taking down the ancient Vex threat. In this Destiny 2 Mercury Public Events guide, we’ll be going over how you can complete the Public Event in the brand new social hub. In case you need anything else at all on the new Curse of Osiris DLC expansion, including how you can access all the new content, as well as all the new weapons and items you can find, head on over to our Destiny 2 Curse of Osiris guides walkthrough hub. 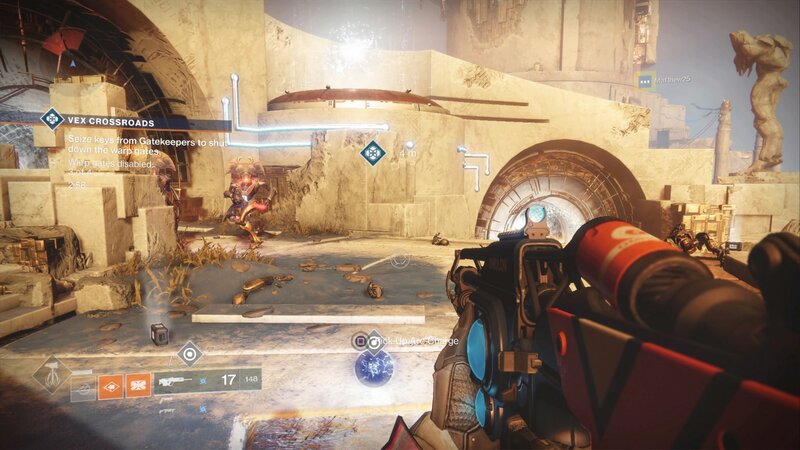 Firstly, undertaking Public Events on the new planet of Mercury is the main way that you’ll be earning Mercury Tokens, to trade in to Brother Vance near the Mercury landing zone. Although you’ll only earn two Mercury Tokens for every time you beat the Public Event on Mercury, you can still trade these in to Brother Vance and chip away at the goal of the powerful Lighthouse Engram, which rewards you with new Legendary/Exotic items from the expansion. To begin the Mercury Public Event, you’ll want to head to just outside the circular structure, south of where Brother Vance is, and wait near the banner for the event to begin. 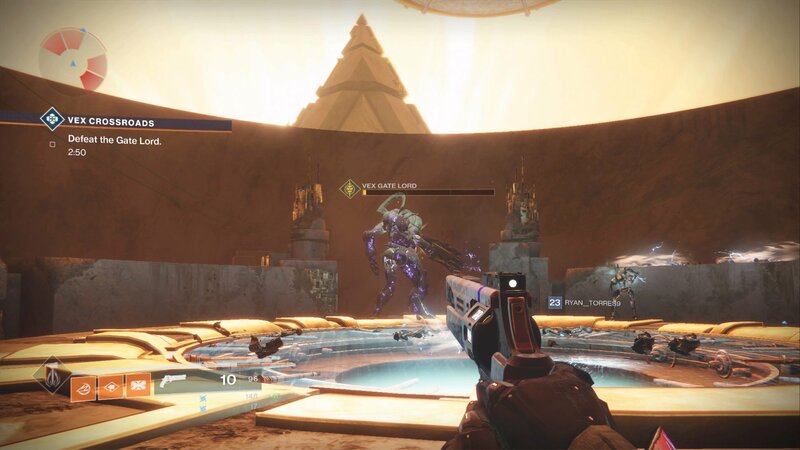 Once the event has started, you’ll need to head to either side of the massive circular structure, and take down the large Vex mini boss that you find there. Upon being defeated, the mini boss will drop two orbs, each of which you’ll have to pick up, and then jump onto the higher, illuminated platforms with. One orb will seal up one platform, so have two players grab them and split up, heading to different higher platforms. 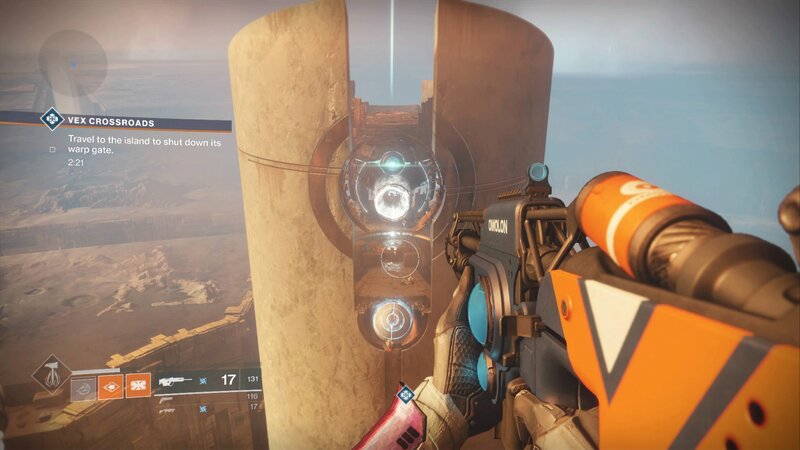 Once you’ve done this, you’ll immediately need to head to the other side of the circular structure, and do the exact same thing on the other side, defeating the Vex mini boss and then taking the orbs to the two higher platforms. After you’ve deposited both orbs on both platforms, the gravity lifts that were previously pointing inwards will turn 180 degrees and now point outwards. 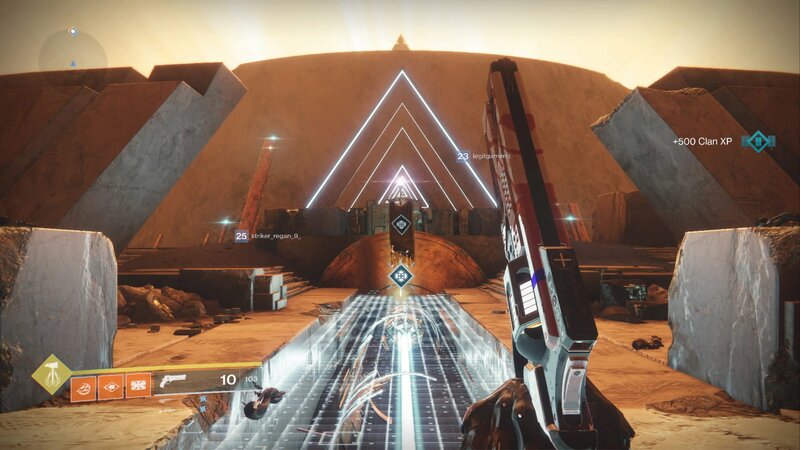 Jump on your nearest gravity lift, and find yourself in a brand new area, where you’ll need to take down yet another Vex mini boss, recover a single orb, and jump into the very center of this new area, as you can see just below. You’ll need to do this after following both gravity lifts out of the standard Mercury area, and once you’ve completed both new areas, you’ll find yourself tasked with defeating the Gate Lord, the final boss of the Mercury Public Event. Take the gravity lift back into the very center of the area, where you’ll now find that the circular structure will be open, with the Gate Lord waiting within. Defeating the Gate Lord is actually a fairly simple process, provided you’ve been stocking up on Power ammo along the way. Simply take out the initial Vex minions that come after you with your basic weapons, and then turn your Power weapons on the Gate Lord, as well as any Super Abilities, provided you’ve got them loaded and ready to go. Once you’ve defeated the Gate Lord, two loot chests will spawn in the very center of the area, and it’s paramount that you open both of them, as both will reward you with a single Mercury Token, which are hard to come by. Take these back to Brother Vance, and chip away at the remainder needed to unlock a Lighthouse Engram. This marks the end of our Curse of Osiris Public Events guide, but head on over to our Garden World Strike guide, where we'll be walking you through how to beat one of the brand new Strikes arriving with the expansion..